Home > Our Blogs > Facing Today > Poland's Holocaust Law is a Threat to Democracy. Here's Why. Poland’s transition to democracy has been called a miracle and the country has often been upheld as a model of democratization. 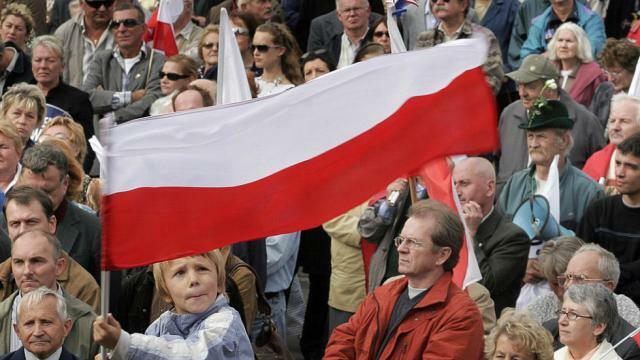 But in recent years, Poland has been seen as slowly backing away from its democratic ideals. This new law tests the waters for this backslide even more. What does a law like this mean for how our global society defines—and even teaches—Holocaust history? History shows that notorious concentration and death camps like Auschwitz-Birkenau and Treblinka, set in small, isolated Polish towns, were German-led and German-run under the Nazi party. But the country still stands in the middle of a complex and complicated narrative. It was invaded not once, but twice—first by the Germans and then by the Soviet Union—and all Poles suffered. By the end of the war six million Poles had been murdered, including three million Jews. Yet this doesn’t erase an important reality: On the one hand there were Poles that reached out—often at the risk of their own lives—to save Jews and who make up the largest group recognized under Yad Vashem’s Righteous Among the Nations. And on the other hand, there were many that actively participated in pogroms or turned in their Jewish neighbors. Poland’s new law “pits two narratives of immense suffering against each other.” These tensions were amplified in 2000 when Jan Gross published his important book, Neighbors: The Destruction of the Jewish Community in Jedwabne, Poland. It inspired deep divisions among Poles and attacks against him by Polish nationalists. Some saw his book as a breakthrough, an opportunity to confront Poland’s complex history. Others saw it as a violation and an affront to Polish memory, one based in victimhood and heroism. Two years ago, Poland’s president looked into revoking a state honor bestowed on Gross, and people worldwide responded, including a group of historians who wrote to the president that stripping the medal would be a threat to freedom of speech and thought. This new law accomplishes this in a more overt way—in a way that threatens democracy while challenging memory, history, and truth itself. But is scrubbing the past clean of any wrongdoing the best way for Poland to gain the shared understanding of a painful history that it needs? Can a nation outlaw the ability to acknowledge truth when it does not like the entirety of its past? Is it slander, as President Duda calls it, when a survivor speaks about being betrayed by a fellow Polish neighbor? Since the end of World War II, we have inherited values that commit us to the memory of the Holocaust and to the condemnation of denial—values that need to continually be nurtured. This law cracks the door open for us—as nations and as individuals—to interpret any history in a manner that gives us permission to abandon responsibility for our injustices while dishonoring the victims and the trauma and tragedy they faced. Once the door is left even slightly ajar, it’s only a matter of time before it’s blown wide open. Explore Poland's new law and the implications it has for how we remember the past with our new lesson,"Why Poland's New Holocaust Law Matters." The Holocaust can be a complex and heavy history to teach, which is why we offer a variety of ways to reach your students, including our one-week unit outline adapted from our newly revised in-depth Holocaust and Human Behavior unit.